The Great Debate: How Often Do I Need To Change My Oil? Change Often or Change Once in A While? For decades, responsible car owners made sure their oil changes were done on time with a rock-solid routine: every 5000 km (3000 miles) or every three months – whichever came first. Now, changing car oil that often is actually considered overkill. Unless you enjoy spending the extra cash on oil changes throughout the year, you’re no longer on the hook to open up the hood every 90 days. Trust the fact that manufacturers have invested heavily in engine design to use higher quality synthetic oils that last longer between changes. Understand that depending on the design and age of your car the new guidelines range anywhere from three months to 6 months, with mileages up to 30,000 km / 15,000 miles. Know that your manufacturer wants you to know exactly when to change the oil in your vehicle. If your car has been purchased from a North American dealer then the information you need is available from credible sources. The first place you should look is in the owner’s manual for the driving distance between oil changes. Most manuals include a matrix or table listing the grade of oil your vehicle is designed for, the impact of your driving conditions on oil life-span, and a warning of what goes wrong when you don’t change your oil often enough. Nowadays, most manufacturers will have manuals available for download that go straight to your mobile device – so you really don’t have an excuse! Much of the widely-distributed car maintenance advice you’ve heard over the years has been based off exaggerated levels of vehicle wear and tear. Manufacturers have actually been known to contact automotive magazines and websites urging them to publish the regular condition recommendations for oil changes because the percentage of people who are truly hard on their engines is so low. Edmunds is a case in point. If you can’t find your manual, and don’t trust the main auto magazines, go directly to the manufacturer’s website. Ford spells it out for you. A 2008 make, or newer, is 15,000 km (7,500 miles) or every six months, while General Motors vehicles have an oil life monitor which will notify you when you need to head to your mechanic. If you own an older vehicle, you have more variables to consider, from total mileage, the actual age of the vehicle and your long term ownership and maintenance investment goals. The approach is simple: the older the vehicle, the lower the mileage between changes. If you really can’t find the manual, or if it’s a bit more difficult to source the official time between changes, the three months or 5,000 miles remains your best maintenance option. At Mac James, we’re happy to lend an ear to any issues you might be having with your car. Although we don’t provide servicing ourselves, our team can definitely provide a few suggestions that will be best suited for you and your vehicle. In the meantime, don’t forget to check out our spring car maintenance checklist to make sure your vehicle is ready for the warm times headed our way. 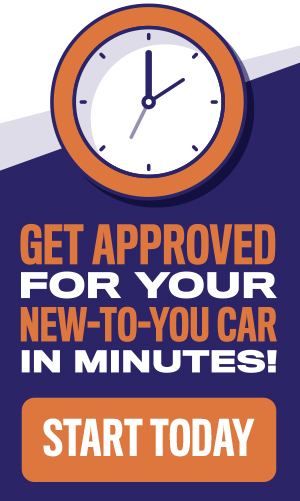 Looking for a new-to-you vehicle? Mac James Motors offers the best terms, the best interest rates, and the best payment plans in Edmonton. Find out more right here.